All photos taken at the Botanical Gardens. Funny thing is, everyone feeds the squirrels, it's one of the highlights of hanging out at the gardens. 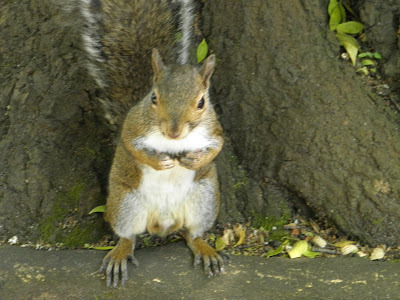 The squirrels look so innocent and cute. Hopefully someone does not feed it with the wrong food! 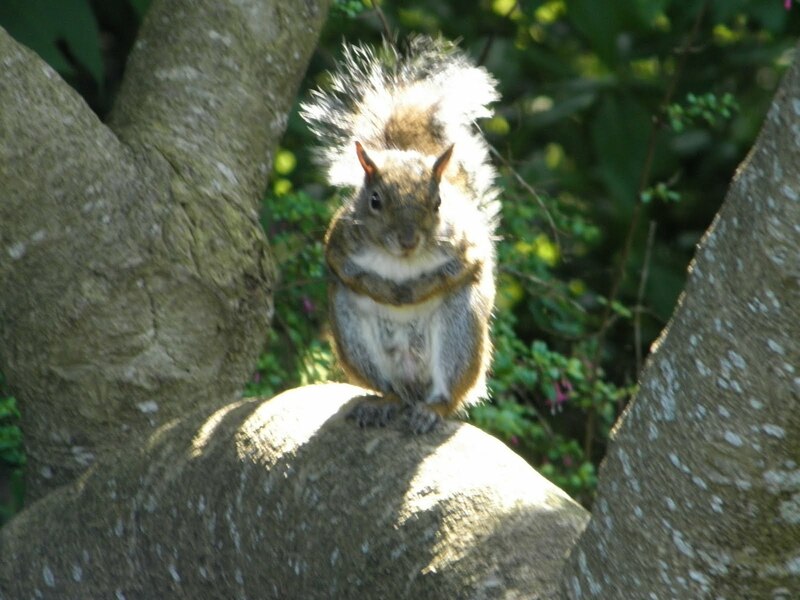 The squirrels at your place are not afraid of human. They who were found over here are so alert and move away very fast before I get closer. I thought the squirrels are dangerous. Am I right? I know they are such cuties. 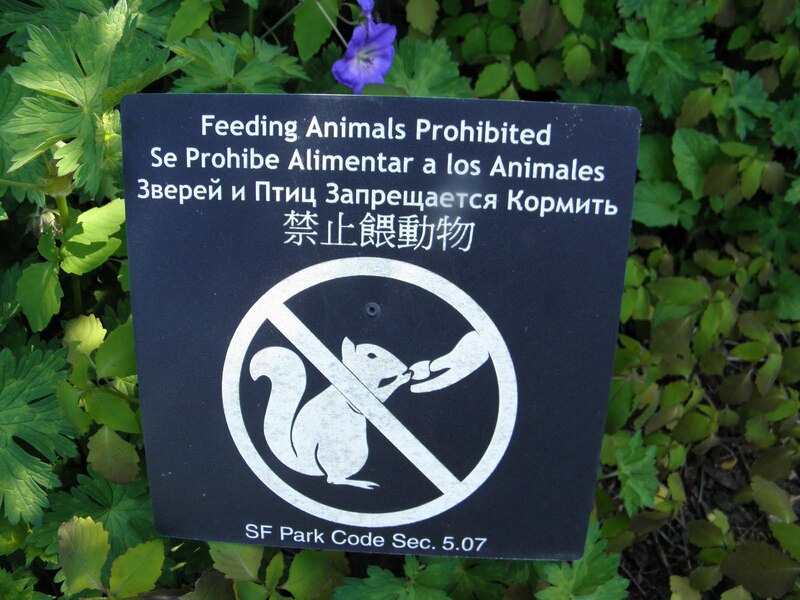 But they do have rabies, right? Autumn, They are and no one is supposed to feed them but everyone does. Michelle, They can be if you are aggressive with them or chase them etc... however, here in our parks they are very docile and interact very well with humans. As long as you treat them well, they do the same. A band of squirrel was staring at my family as we were walking in the park one day. We just stopped and didn't move because we didn't want them to attack us. It was a long stand off and finally, my husband said to walk slowly away from them. A few did follow us but they eventually left us alone. Think of being in Butchart Gardens in Victoria, BC. I followed a group intermittably through the day watching them shoot group photos, often in front of Keep off the lawn signs.Maybe they are afraid they will follow you home for more food.HA! They are adorable. Reading the comments above I can't figure out why so many people are afraid of squirrels. 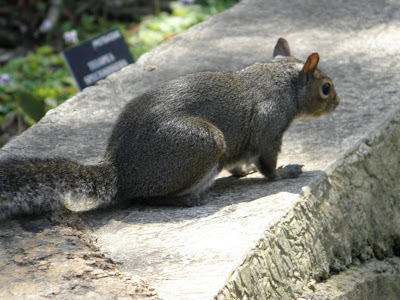 I have been around all types of squirrels in parks and in the wild for many years and have never been attacked. They are naturally curious. The only time they are aggressive is when they feel threatened or they are so used to being fed and they are looking for a handout. RoseBelle, they normally do not attack unless they feel threatened. They will come near you waiting for food and when they realize you don't have food they will leave. They are extremely friendly and interact with us humans here all the time. I've seen people not just throwing food at them but actually feeding them, it's adorable. Prairie, they are little divas here as I call them. They actually do pose for photos, all the time. I have never visited Butchart Gardens and would love to at some point in time. 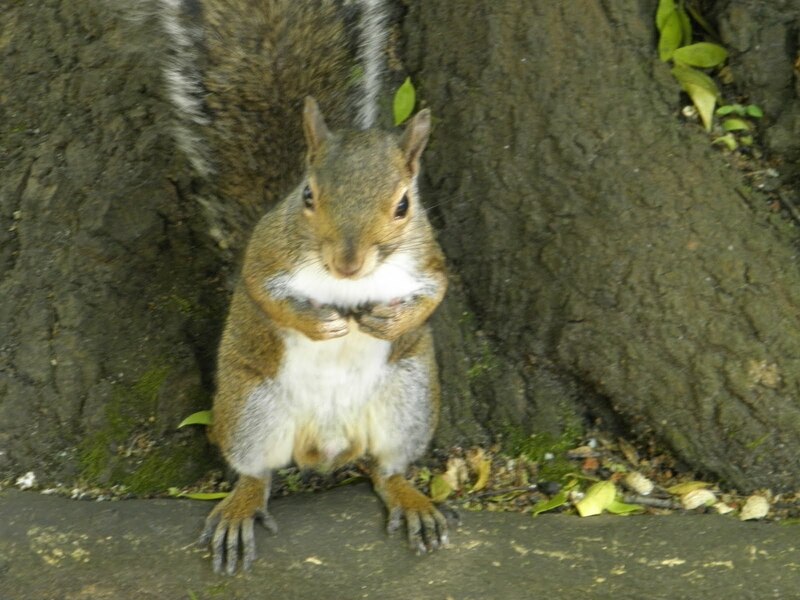 Oh you've got some great pictures of the squirrel there, Jo.. Icy, he was such a cutie :) Thanks.